The fall component of Public Art Take Back! engaged youth in creating a self-directed, multi-media performative public cultural plan to address root causes of issues of concern to them and how these manifest in Egleston Square. Youth workshopped both in small groups and as a class where we, as teaching artists and cultural workers, served as facilitators. To distill the intersectionality of struggles that youth, their families and neighbors experience, the process began with discussion, research and analysis of personal and community histories, through the lens of the artist-citizen. The workshops engaged various media as called for by the youth-led projects, and we offered skill building around a variety of these. The youth visioned, planned, created and presented a cultural plan: a performance exercises interfacing with and reclaiming public sites identified by youth as requiring attention and healing; an interactive performative intervention in community declaring the site as a safer space and holding all stakeholders accountable; and an action plan by which youth apply their agency as artist-citizens to effect change through participation with the people of and visitors to the neighborhood. The youth also shared a sample of the plan at the Winter Festival: Lighting the Commons in the form of two interactive community games. Following the self-directed model and therefore without imposing this question on the youth, we facilitated a question-focused technique through which youth posed their own questions, building trust in their own critical questioning skills and practicing problem solving and interpretation. It was important for us as lead artists/culture workers that the work presented is directed by our youth, reflective of their experiences and world views: we firmly believe youth have the solutions for their community and through this facilitation process we hope to affirm this. 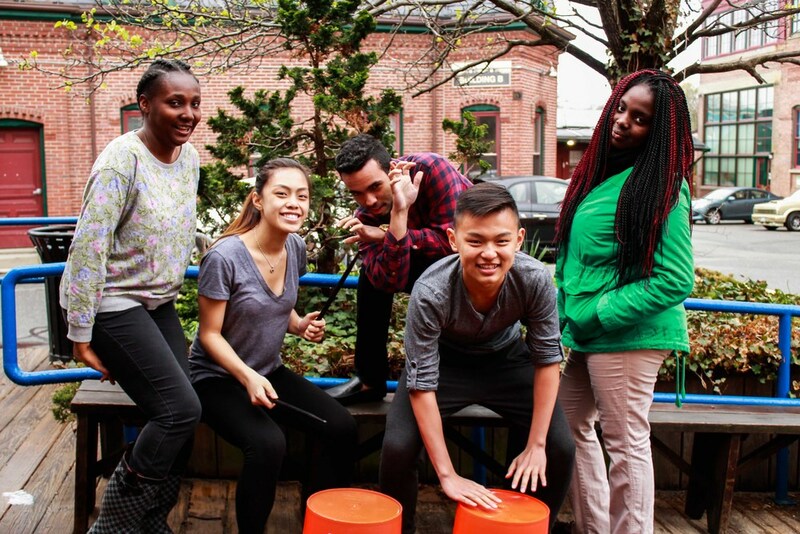 It is also important for Urbano Project, the Egleston Square community at large, education administrators and city officials to witness the resilience of Boston’s youth and the contributions youth leaders are making their communities every day. 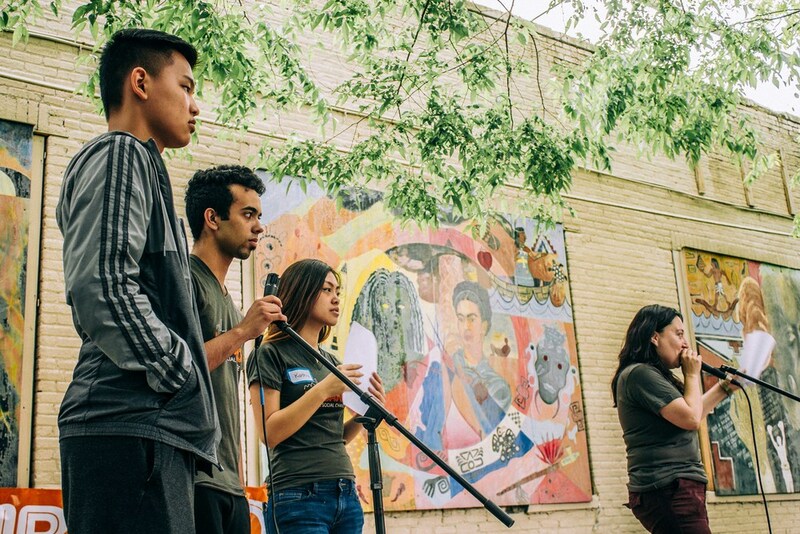 It is important for our youth to believe in their capacity to be change agents and transform their communities into livable spaces in face of harsh realities set up by systemic and ageist disparities.